TWF promotes healthy soils in our watershed because healthy soils lead to increased profit and sustainability for our farmers, cleaner water, and better habitat for fish and wildlife. TWF has two experienced conservationists available to visit farms and other properties with landowners to look at any resource concerns or problems and evaluate soil health and the condi­tions of all natural resources. These visits are free of charge, very informal, and will result in no commitment from the land user unless they wish to enter into an agree­ment for cost share assistance with TWF. The Soil Health Initiative is also one of the main projects implemented by the TWF, which relies not only on structural improvements, but also changing the way the farms operate to make them more efficient and environmentally friendly. 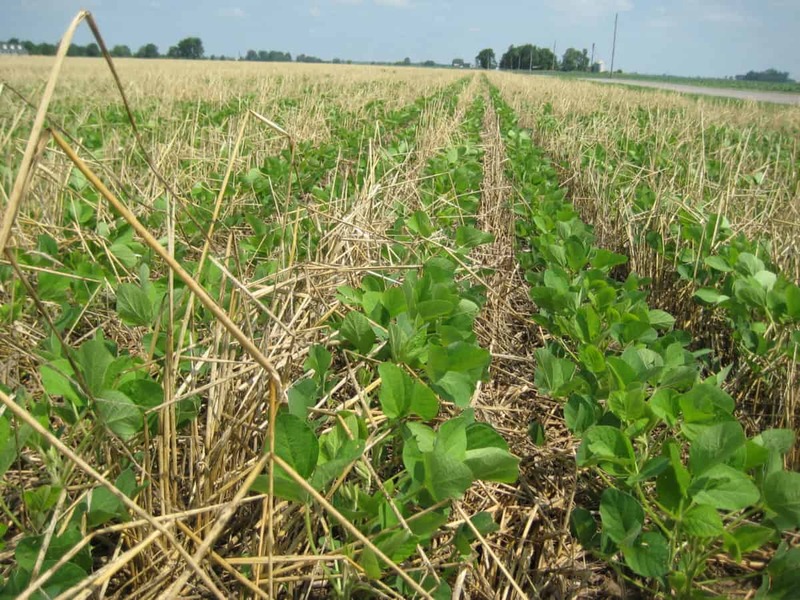 This initiative includes practices such as no-till farming, cover crop planting, targeting pesticide application and advanced nutrient placement. Farmers interested in learning and seeing the difference these practices can yield may receive grants for the first two years. Many of the recipients of this information then continue to utilize these practices after seeing first-hand how beneficial they are for their farms and the environment. By working with partners, landowners and producers, the TWF has prevented hundreds of thousands of pounds of weeds and algae from growing and sediment from entering the lakes and creeks of the area. The continued efforts of the TWF team have led to over 40 contracts with local farmers, and have doubled the amount of farms utilizing the best practices. Roughly 75 percent of the 236 mile Tippecanoe River Watershed is agricultural land. TWF is unique because we not only focuses our efforts on lakes and streams, but also on land, the source of pollution. Check out how local farmers are keeping their land green, and our waters clean!